Avoid Spam SEO Sydney – How Spam works? Although opinions are sharply divided on Spam the meat product, e-mail spam is something no one likes. 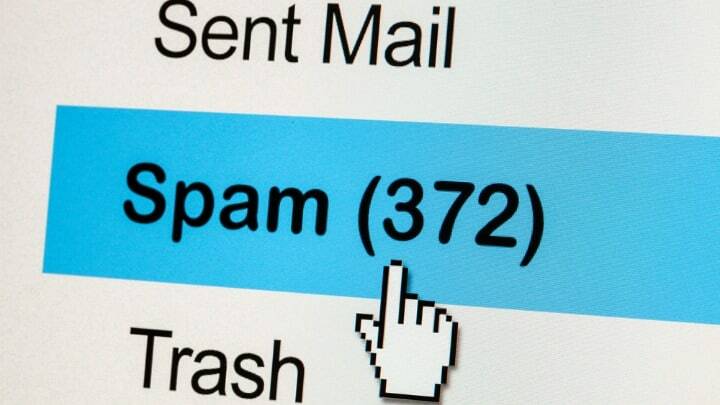 Why is spam so prolific, and how do we try to fight it off? It probably isn’t surprising that people found ways to take advantage of a means of sending the same message to tons of people electronically long before the mainstream internet was invented the first spam message was actually sent all the way back in 1978 over the old ARPANET a US military network that was a predecessor to the modern internet. Although the sender was promptly rebuked that technique, sadly doesn’t work today to stop spam. Spam messages continued to proliferate through news groups users who sometimes people says named these sorts of messages spam after a famous Monty Python sketch but it really exploded in the mid to late 1990s as more and more people started using email, anyone who’s ever sent a message more than one person before knows how easy quick and cheap it is. To send the message to a large number of people so easy in fact that at one point it was estimated that over 90% of email traffic was spam although more recent estimates have indicated that the number in now closer to 50% still a ton an email and that’s not counting the spam that is popping up on places like say for example social networking sites dating sites video sites and the infamous comments sections of the aforementioned places but even though sending lots of emails is easy how the spammers get their hands on so many people’s email addresses? Often spammers will actually just test millions of random addresses that contain dictionary words or common names and numbers to see which ones work or they can use BOTS to crawl the public web and look email addresses that people have posted in various places. For example on a forum dubious advertisements can also lead people to malicious websites that convince them to sign up for stuff using an email address which is then harvested after a spammer compiles a large list of working email addresses they can actually make matters worse by not only emailing all those people but by selling the list to other spammers and then suddenly you’ve got a deluge of emails asking you to buy pills to enlarge a certain part of your Anatomy. More on how to avoid spam. The question is why these people send out spam at all and delete these spam email and move on to the nest real email? Well almost everyone does the response rate for spam messages is indeed extremely low so spammers use tools such as dedicated servers and botnets of infected computers to send out as many pieces of spam as they possibly can so even if only one in a million people is gullible enough to believe they can buy a real Rolex for the price of a cheeseburger it still leads to a pretty good sized profit for the scammers back to remember they’re super cheap to send out. Then how have we tried to fight back against this spamming emails? Most of the popular email services today employ some kind of spam filter which scans emails for suspicious words, formatting and deceptive headers the part of the email containing address information and checks emails against a known blacklist of spam addresses to keep that stuff from reaching your inbox numerous countries have also tried to legislate against spammers as well and although these efforts haven’t been extraordinary effective several more notorious spammers have served prison time for defrauding people but with that said perhaps the best thing you can do is watch who you’re giving your email address to unless that is to say you enjoy getting business propositions from exiled Nigerian royalty.